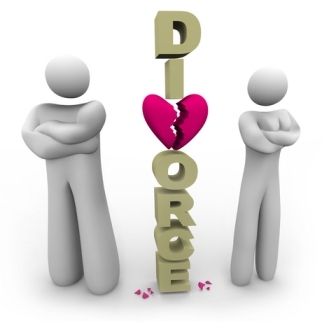 Are you wanting to save your marriage but your husband or wife wants a divorce? Is your relationship falling apart and you would like to know how to rebuild the love and intimacy with your partner or spouse? It could be that this program by Liam Naden will give you the solution you are looking for. Liam Naden is a well-known marriage and relationships coach, host of the Growing in Love for Life podcast, a workshop presenter and author of more than 20 Kindle books, a number of which are best sellers. This is one of two programs he offers to individuals and couples who are wanting to save their marriage from divorce. The “Stop Your Divorce” program is designed specifically for people who are faced with the situation of their spouse wanting to leave. Although this can often appear to be a hopeless situation, Liam explains throughout the program how to shift your thinking and behavior so that the leaving spouse may reconsider and decide that the marriage may be worth working on after all. A person usually wants to leave a marriage when they have decided they could be happier elsewhere. This course shows the person who wants to stay how to create a new ‘feeling’ in the marriage to remove hostility and distance between the couple. The program is broken down into seven modules, with one to be completed each day over the course of a week. Each module consists of an audio and a worksheet. After listening to the audio, there are several questions to answer on the worksheet. One of the best things about this being in audio format is that the audios can be downloaded and listened to anywhere and anytime (such as while driving to work). It is also very useful to be able to listen to the sessions more than once, as each time you do you gain a new understanding and perspective on your own situation. The information in this program is presented in a logical, step-by-step and easy to follow format. It contains ideas and suggestions that are quite different to many other marriage help programs, but which have proven to be very effective for many people. What is especially clear in this program is Liam Naden’s expertise in showing people just why their marriage has gone wrong – and what you need to start doing to fix it. Also evident is his integrity in wanting to save marriages. This isn’t just another one of those slick marketing presentations which get you to sign up and which offer little in the way of real information. If you are facing a marriage breakup and you really want to save your marriage I highly recommend this program by Liam Naden. It could be just the information you need to stop the tragedy and agony of a divorce. Previous postErectile Booster Method Review- Is The PDF Guide A Scam?